Let's pour our festive spirit into the nail polish bottles and for Christmas inspired looks. No intricate nail art is required or extra tools for this first look. It's very easy, quick and uses just two nail polishes. I first used a dark purple colour (eggplant colour), I used the Tanya Burr New York Night. 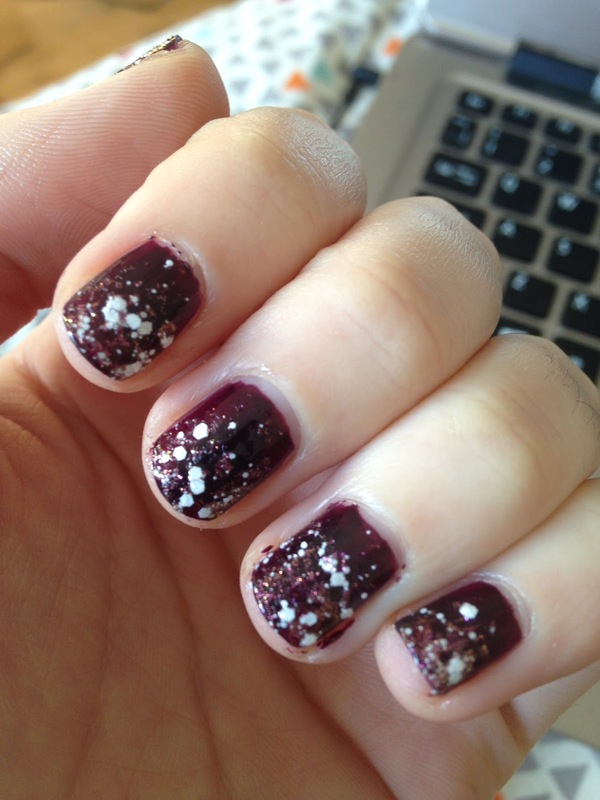 Once it dried I went over the top with Ciate in Snow Fall. I dabbed this polish onto the nail on 3 quarters of the nail. Finally, I sealed everything with a top coat and the finished look was a snowy wintry look.